In recent times, Guo Meimei has gained something of a reputation as an internet celebrity in China. She has accumulated over 2 million followers on social media, despite her only accomplishments appearing to be the ability to live a glamorous lifestyle by suspicious means. In 2011, she first hit the headlines when she began posting pictures of herself with expensive handbags and luxurious sports cars, saying that she worked as General Manager of the Red Cross Society of China, a state backed charity. This led to widespread mistrust of the organisation and how donated funds were being spent, leading to boycotts and a substantial drop in donations. According to Meimei, she didn't gain all her wealth in this immoral way, she had other immoral ways too. Her other hobbies include gambling, and poker in particular, although reports do not say whether she made any of her money at the game. Going by the information released so far, it seems that Meimei invited about half a dozen friends over for high stakes poker on a regular basis in in her home in eastern Beijing. Meimei's interest in poker began after she started dating an overseas poker player, whose identity is currently a mystery. They apparently met in Macau, and hosted home games in the months that followed. A professional dealer was hired, and Ms Guo took a 3 to 5 percent rake on the game. During the 2014 World Cup, she started to organise some betting and promoted online betting sites via her popular social media accounts. This week, her most recent illegal betting activities landed her in court, where she stood trial and denied running an illegal casino. Her pleas for leniency in court after her latest arrest appear to have fallen on unwilling ears however, as she has been sentenced to 5 years in prison. Through her rise to online fame, Meimei became ever more notorious, often boasting to her followers about her lavish lifestyle. This has ultimately led to her downfall, as her conviction and jail term will remove her from the public eye for some time. Many of the Chinese people feel that she has got exactly what she deserves, but she has no doubt gained a few thousand more followers after her latest appearance on the news, and that has always seemed the primary goal for anything Meimei does. 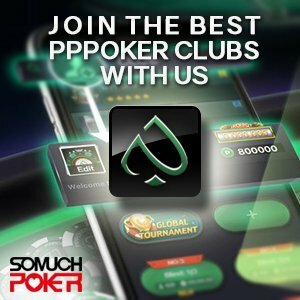 New Direction For Pokerstars and Full Tilt?